Obituary for Teaun Sonny Bates | Cremation Society of Charlotte, Inc.
Teaun Sonny Bates, 29, passed away on Sunday, April 7, 2019. Teaun Sonny Bates was born on May 13, 1989, to the union of Charlene L. Bates and Earnest Yearly in Wilmington, North Carolina. Teaun received his formal education at Eastern High School in Washington, DC. He furthered his education at Livingston College in Salisbury, North Carolina. Teaun knew Jehovah as his Heavenly Father and he accepted Jesus Christ as his Lord and Savior. Teaun was an awesome young man who never got into trouble. He was an all around good kid. He loved his family and his family love him greatly. He had a loving spirit and loving demeanor. 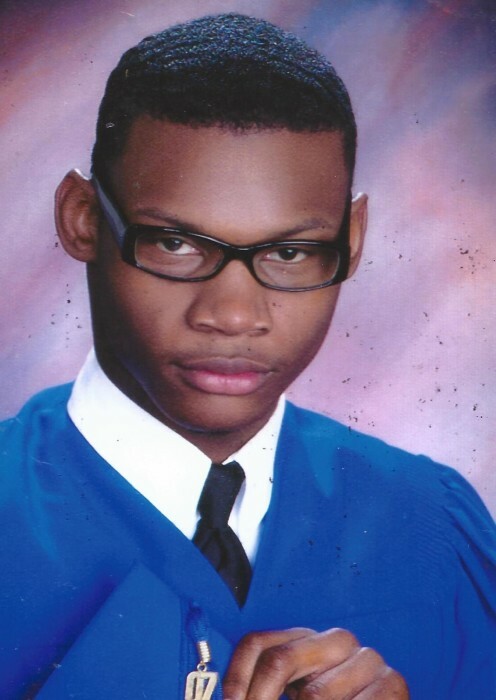 In his leisure, Teaun enjoyed listening to music and spending time with his family and friends. Teaun was employed with Dunkin Doughnuts Coffee Shop where he was known as the all around man. Teaun’s boss said he never said no to anything that was asked of him. This April, Teaun would have had celebrated a year with Dunkin Doughnuts. Teaun Sonny Bates departed this life on April 7, 2019. He was preceded in death by his grandfather, Henry W. Bates and great-grandmother, Charlotte L. Rhames; He is survived by his mother, Charlene L. Bates; father, Earnest Yearly; grandmother, Amanda B. Jenkins; aunts and uncles, Wanda and Greg Yon, Raymond and Angie Bates; aunt, Felicia Bates; uncle, David Bates, cousins, Shaun Bates, Cory Bates, Chae’Vonne Bates, and Jalicia Bates; and a host of loving great aunts, great uncles cousins and friends. A memorial service for Mr. Bates will be held at 1:00 PM, Saturday, April 20, 2019, at Boston's Mortuary 4300 Statesville Road, Charlotte, North Carolina 28269.